There are many ways to automate and extend OmniFocus…and to make it an even more convenient and efficient solution. By automating things that you commonly do in OmniFocus you’ll squeeze even more productivity out of this app. Fortunately, there are many ways in which you can fine-tune your OmniFocus workflows to make them even more efficient. In addition to taking full advantage of the features that OmniFocus supports “out of the box”, there is growing number of apps and services that either have direct integration with OmniFocus or can be integrated into workflows using technologies such as AppleScript and Siri Shortcuts. Here’s some Learn OmniFocus content to help you fine-tune and automate your use of OmniFocus. Join Learn OmniFocus – By joining Learn OmniFocus you’ll have full access to all of our content and will be able to participate in interactive LIVE sessions. All memberships come with a 30-day money back guarantee. OmniFocus for iOS integrates seamlessly with Siri. You can trigger common actions with your voice (e.g. “Show me my errands”) and can build Siri Shortcuts that automate the creation of actions and projects and perform activities across OmniFocus and other apps. 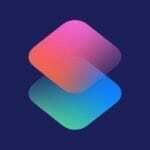 Our Automating OmniFocus 3 Using Siri Shortcuts: Basics video (Members) introduces you to the basic concepts and functionality that’s available on your iOS devices. Automating OmniFocus 3 Using Siri Shortcuts: Beyond the Basics (Members) builds on this foundation and delves into the power and convenience of TaskPaper-based project templates. There are numerous apps that integrate with OmniFocus 3 for iOS on the iPhone and iPad. One of our favourites is Drafts. It’s a quick and convenient way to capture tasks to OmniFocus, especially if you install the OmniFocus Actions for Drafts 5. Drafts is also a great app to have in your toolkit when working with TaskPaper-based project templates. Launch Center Pro is also a great complement to OmniFocus on iOS. Among other things, it allows you to create automations that trigger based on a variety of conditions, including your location and the time of day. Our Automating OmniFocus 3 with Launch Center Pro 3 (Members) video shows you how. With a bit of practice, you can create, update and navigate OmniFocus 3 for Mac very quickly. It’s worth taking the time to learn keyboard shortcuts for common actions. If your favourite commands don’t already have shortcuts you can add them through System Preferences. 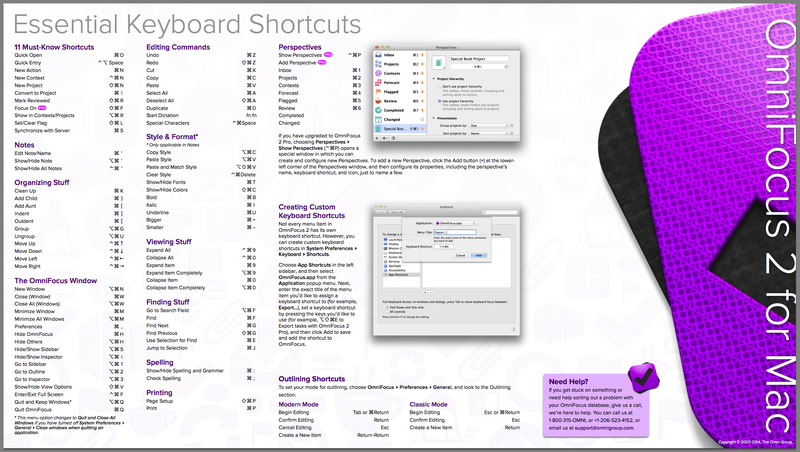 The Omni Group created an Essential Keyboard Shortcuts for OmniFocus 2. These same keyboard shortcuts work in OmniFocus 3. OmniFocus for Mac (Pro) has built-in support for Apple’s native AppleScript technology. While you can certainly write your own scripts, you can derive plenty of benefit from this technology by using pre-existing scripts, even if you haven’t written a line of code in your life. For example, you can use existing AppleScripts to mark an action complete and create a waiting action in one fell swoop, as shown in the Complete & Await Reply with OmniFocus (Pro) video (Members). And you can create a project based on a template, as demonstrated in our Project Templates in OmniFocus 2 for Mac video (Members). 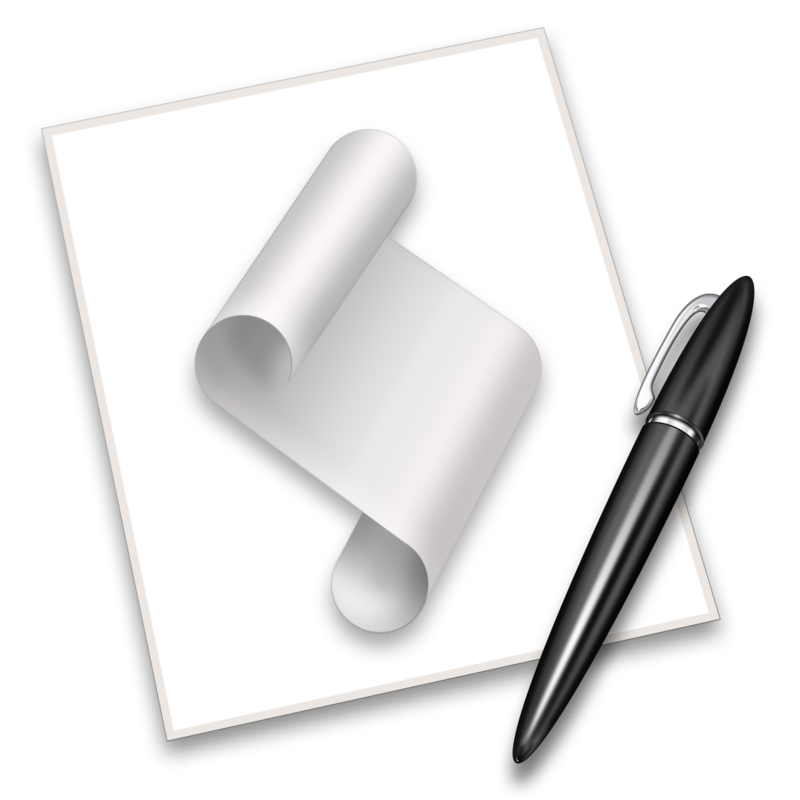 Check out our OmniFocus AppleScript Directory for more of our picks. Beyond the apps that offer direct integration with OmniFocus, there are many apps that are complementary. For example, it’s useful to create TextExpander snippets for things that you type into OmniFocus regularly. For example, “Email: <participant> to schedule a meeting” could be shortened to “xema”, with TextExpander even prompting you to enter the participant name when you key in this string of characters. See Creating Actions with TextExpander on Mac & iOS video (Members) to learn more. Keyboard Maestro is another popular app that allows you to, for example, launch OmniFocus (if necessary) when the Quick Open shortcut is pressed, ensuring you always have this feature at your fingertips. 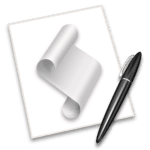 When used in combination with AppleScript, the amazing Hazel makes it possible to automatically create OmniFocus actions based when files are dropped in designated folders. Watch a recording of our Automating OmniFocus session (Members) to see these apps in action. 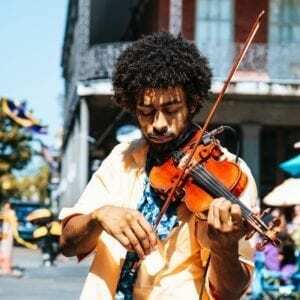 Unless, of course, you play the violin. With so many ways to fine-tune and automate OmniFocus, it’s easy to get into the habit of spending a lot of time optimizing your OmniFocus workflows and, ironically, not getting much done. It’s recommended that put some bounds on the time you spend fiddling with OmniFocus and be mindful of the problem you’re trying to solve. Spending an hour to save five minutes doesn’t make much sense, but spending five minutes to add something to your system that will save you an hour a week and minimize the chance of things slipping through the cracks is time well spent.